Taysir Batniji, Gaza Walls, 2001. Courtesy the artist and Galerie Sfeir-Semler (Hamburg/Beirut). Taysir Batniji, Suspended Time, 2007. Glass and sand sculpture. Collection Emmanuelle and Jérôme de Noirmont (Paris). Courtesy the artist and Galerie Eric Dupont (Paris). Taysir Batniji, GH0809, Installation view, 2010. Courtesy the artist and Galerie Sfeir-Semler (Hamburg/Beirut). Taysir Batniji, Watchtowers, Installation view, 2008. Courtesy the artist and Galerie Sfeir-Semler (Hamburg/Beirut). An hourglass is a vessel consisting of two glass orbs stacked one atop the other and connected by a narrow passage through which grains of sand flow. One of the earliest timekeeping devices, the hourglass was rendered largely obsolete by the invention of the mechanical clock. Nevertheless, it endures as a symbol of time. 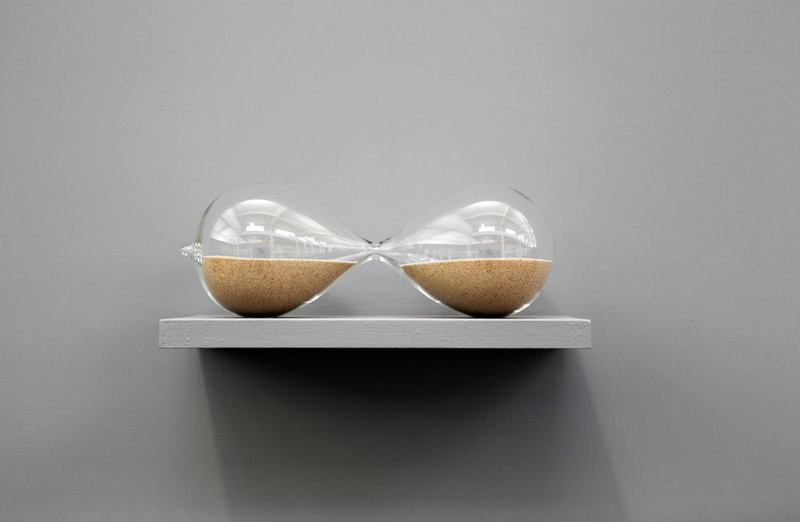 In Taysir Batniji’s sculpture Suspended Time (2007), from which this exhibition takes its name, the hourglass assumes a new form in which two conjoined glass orbs sit side by side, with grains of sand resting in the bottom of each. Here, no sand can flow from one orb to the other. In effect, time stands still, and the most potent symbolism of the hourglass—that of the inexorable passing of time and the inevitability of change—is neutralized. The work invites us to consider the effect on one’s worldview when the natural forces that govern our lives—time, movement, change—are suspended. As a Palestinian artist who lives and works in France, Batniji explores in his work the social, cultural, and political realities of Palestine, the challenges of migration, and the state of being “in between.” This exhibition, which surveys Batniji’s major works of the past two decades, features some of the most significant photographic series from his formative years, presented alongside selected sculptures and works on paper. 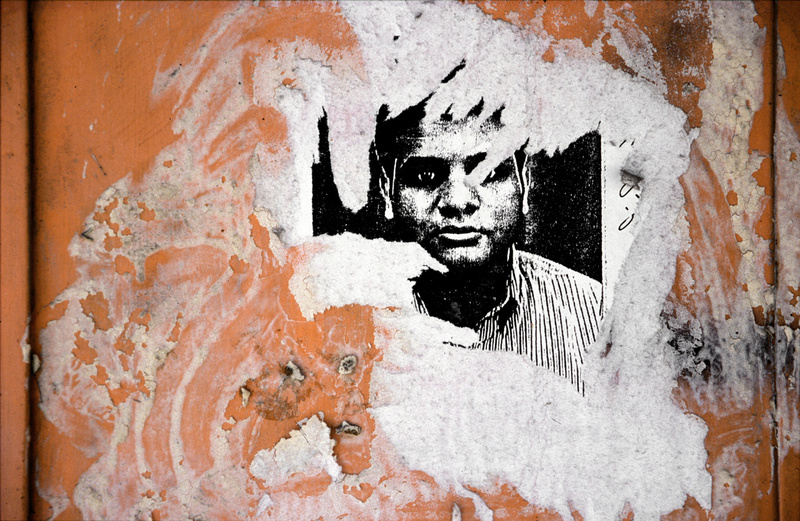 Gaza Walls (2001), a work originally created as a slide show and subsequently presented as a digital projection and a wallpaper installation, is shown as a series of colour photographic prints. 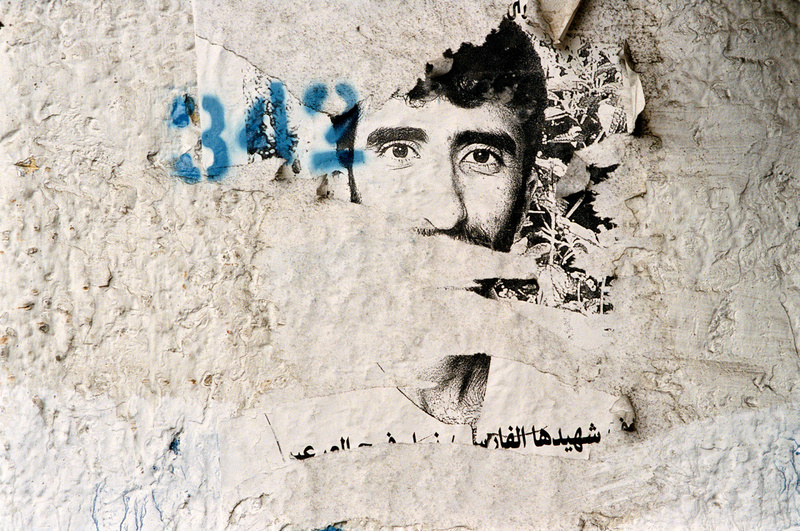 The work depicts the walls of Gaza City during the first months of the Second Intifada, at which time they became an essential medium of display for portraits of martyrs. The loss of the individual is echoed in the deterioration of the images. 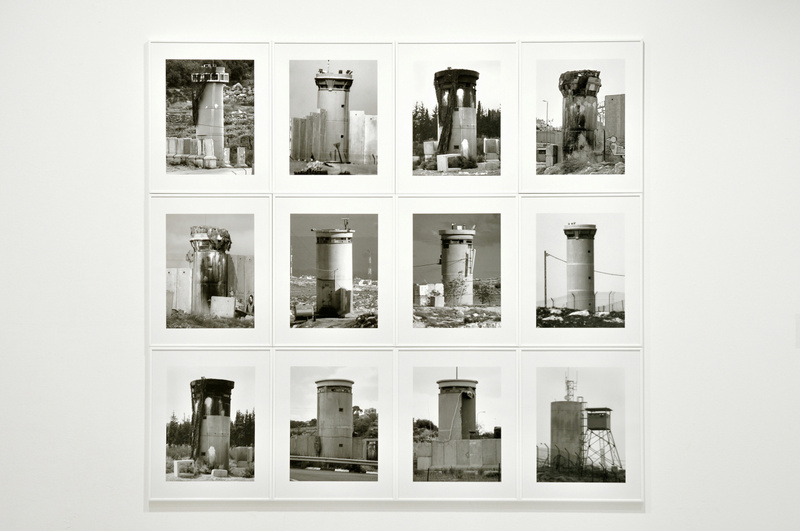 Watchtowers (2008) is a series of black-and-white photographs that document the watchtowers installed by the Israeli military on the West Bank. Inspired by the formal strategies of German photographers Bernd and Hilla Becher, the work presents a typological survey of these structures. Unlike the Bechers, however, the work eschews technical mastery, as it was, of necessity, shot surreptitiously under perilous conditions. GH0809 (2010) documents the remnants of houses and other infrastructure destroyed in bombardments during an Israeli military operation in Gaza in 2008 and 2009. 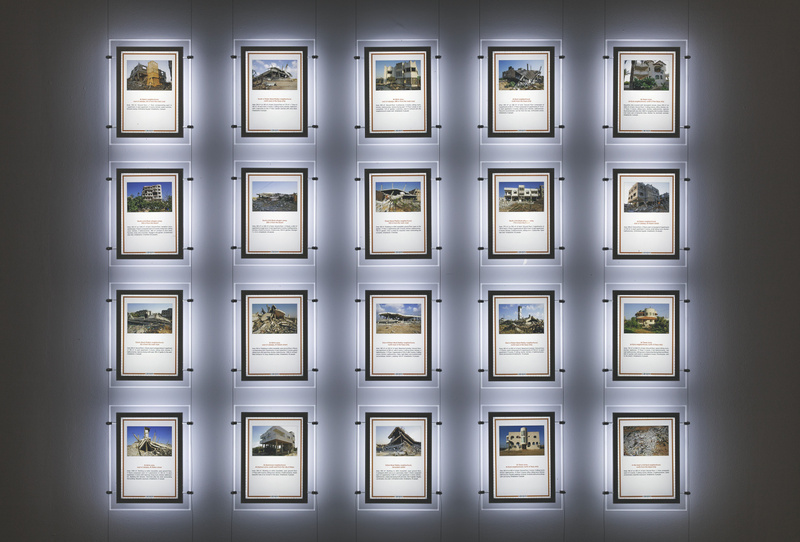 Here, the photographs are displayed in the form of real-estate advertisements of a style typically seen in France, replete with detailed descriptions of the former dwellings. As with Watchtowers, the work plays upon viewers’ expectations by starkly contrasting a familiar format with arresting content. Lastly, To My Brother (2012) is a series for which Batniji hand-carved images onto paper that were based upon photographs from his late brother’s wedding album. At first glance, the paper appears blank, but upon closer scrutiny, the latent image becomes apparent. This series can thus be said to distill the characteristics that most distinctly represent the artist’s entire oeuvre: emptiness, absence, fragility, erasure, loss.